On Tuesday, Google once again found some inventory of the 8GB Google Nexus 4 and put it up for sale in the U.K. and Germany. And once again, demand for the phone was apparently heavy. Essentially, the 8GB model of the phone is sold out in both countries again after shipping times reached 4 to 5 weeks and then rose to 5 to 6 weeks. 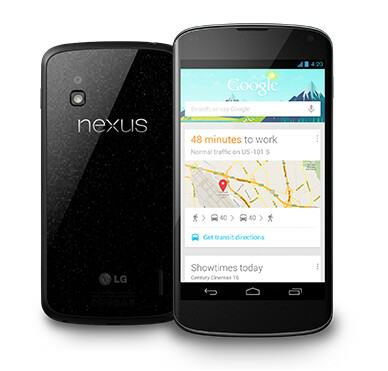 Google is no longer accepting orders for the 8GB Google Nexus 4 in the U.K. and Germany. In the U.S., shipping times for the phone reached as long as 9 to 10 weeks before Google called it sold out and refused to accept any orders for the unit. To understand the popularity of the model, you have to appreciate that at $299 off-contract, the 8GB Google Nexus 4 represents great value. Meanwhile, at $349, the 16GB version is still in stock, or perhaps we should just say that Google is still accepting orders for this version in the two European countries, which will ship in 5 to 6 weeks. And to be clear, the 16GB variant offers just as much value for its price, if not more, than the 8GB model. Once the dust settles and demand cools for the Google Nexus 4, we'd love to see some sales figures for the device to see how strong the demand really was for the phone, or if Google just wasn't prepared for the deluge in orders it was hit with. 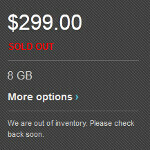 Can't wait to see the sales on the Nexus 4. Numbers won't be spectacular really. I think LG can produce 3-5 million units per quarter, at best. When the phone was the 5th most sold phone in the UK after selling for just 1 hour... I think it's clear that the demand is huge, and that they can't cope with it. At least after Christmas it won't be shown permanently "in stock"
I hope you are right, but I'm not optimistic. First batch: 13th November, sold in 15 min Second Batch: 03rd December, sold in less than half an hour. I couldn't even see the phone as "available" yet. This is starting to be a joke. By the time the Nexus 4 is really available, the GS IV (5 inch 1080p screen, S4 Pro, 2 Gb RAM, LTE) will be shipping with no wait time. And the GS IV will have swappable battery and memory. but no imediate updates cuz its not a nexus remember? any idea on how many have actually been sold ? its starting to look like the Lumia 900 "firesale"